Welds up to 1/2", operates on 240V input voltage and up to 210 amps output power. Provides easy, quick and reliable arc starts. Precise and accurate amperage control and heat output. Adjust output by as little as one-amp increments. 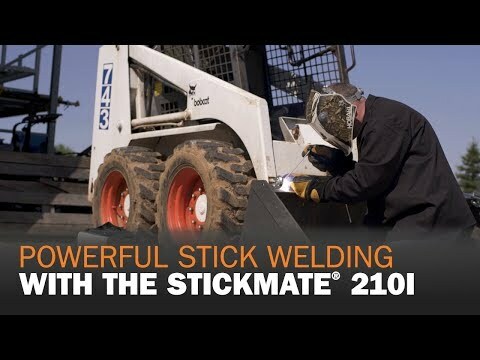 Up to 210 amps with the Stickmate 210i allows you to weld thicker materials.